Play Guitar The Way You’ve Always Dreamed Of! Is the voice in your head, telling you to start playing guitar, getting louder? 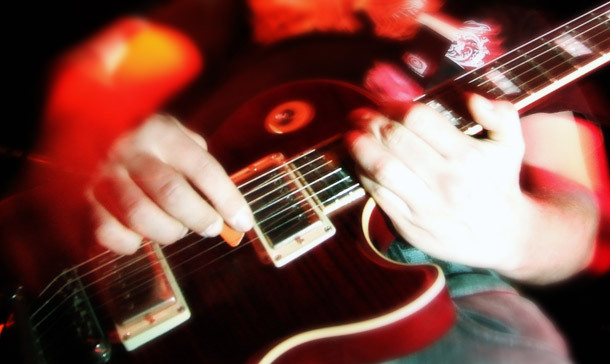 Do you feel limited with your current abilities to play guitar and want to get better? Join the many other students that are seeing their guitar playing and musical dreams become a reality! Whether you are looking to start on the incredible journey of learning to play guitar for the first time or are looking to improve your current skills, I have a plan to get you where you want to be! Your lessons with me will not be like any other teacher or school in the area! Each student’s individual skills and goals are carefully considered and a plan developed specifically to help that student reach his or her individual goals. No cookie cutter lessons here! You will have the opportunity to participate in projects that are not offered anywhere else. Your lessons with me will be both fun and educational. The following list contains just some of the topics you will learn! Don’t wait any longer! Contact me now to find out how you can get started towards reaching your guitar playing dreams! Listen to what some of my other students have to say about their experience with lessons at Vivrette Guitar Academy here!